Babae sa Breakwater article in Le Monde, and why direk Mario O’Hara wasnt at Cannes when his film was shown in the director’s fortnight [via NMR/noelverablog]. real pity no one saw it. very minimal media coverage, too, compared to the exposure raymond red‘s Anino got 4 years ago. havent seen the 2000 Palme D’Or for Best Short Film winner? watch it here. 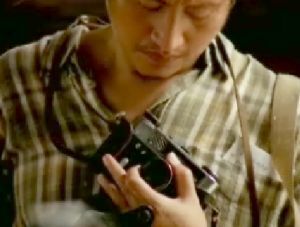 screenshot of ronnie lazaro in Anino.